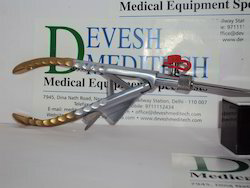 We manufacture, supply & export Laparoscopy instruments that are made using medical grade stainless steel & titanium. 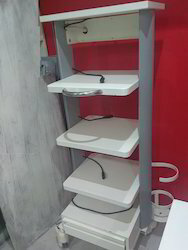 Our product highly durable and operational efficient. Highly appreciated for their accurate design, precision construction, apt weight, corrosion resistance and hygienic finish, these are offered with comfortable grip and sharp edges. Furthermore, we are providing our range at extremely cost competitive prices. 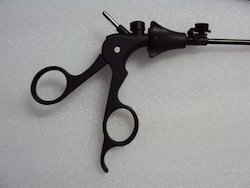 Leveraging on our years of experience, we hold expertise in offering Laparoscopy Grasper. 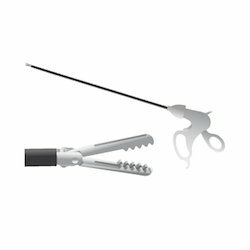 The offered laparoscopy graspers are high on demand for its easy usage & superior quality. 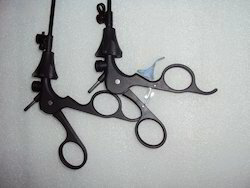 These laparoscopy graspers are obtainable in different specifications to meet variegated requirements of our clientele. Offered laparoscopy graspers are inspected on several predefined quality parameters for ensuring their flawlessness. 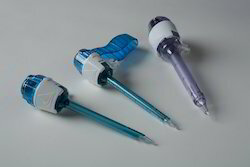 Assisted by rich industrial experience and modern technical knowledge, we are able to offer Laparoscopy Set. 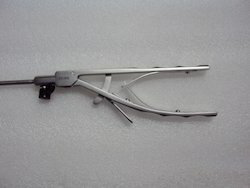 The given laparoscopic instrument is with comfortable grip and sharp edges. 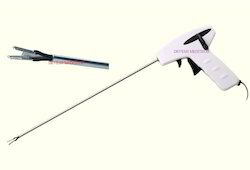 This laparoscopic instrument is developed using high quality material & leading techniques in accordance with industry standard. In addition, the laparoscopic instrument offered by us is passed through a series of practical tests so as to supply a defect free range. Our firm is a trustworthy enterprise, offers excellent quality Laparoscopic Instruments that has corrosion resistance and hygienic finish. Our offered laparoscopic instrument is designed using high quality material cutting edge technology keeping in mind the set norms of industry. Along with that, the entire range of laparoscopic instrument is tested by a team of quality experts on diverse parameters to deliver flawless range to the clientele. 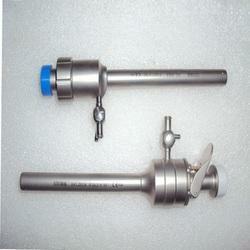 Our organization is involved in providing a qualitative Dissectors Laparoscopic Instruments. This laparoscopic instrument is precisely designed at our premises by utilizing quality tested material & latest technology. 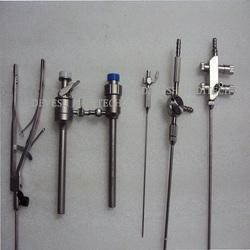 The offered laparoscopic instrument is checked on several defined parameters for assuring its flawlessness. 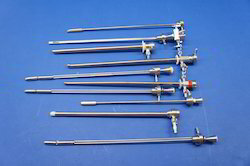 We offer this laparoscopic instrument in numerous models & other related options to choose from. e hold specialization in designing and developing a high-performing range of Industrial Laparoscopic Trolley. Products that we have come with are fabricated by making use of high-grade required basic material and components. Based on advanced technology, these products conform to the stringent quality parameters of the industry. To meet divergent demands of the clients, we offer these products in different technical specifications. 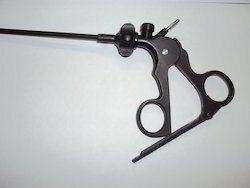 Laparoscopy Trocar offeredcomprises pen-shaped instruments featuring sharp triangular point at single end for use in laparoscopy operations. It is placed inside hollow cannula/sleeve and support the need of creating desired opening into body so as to provide an access port during surgical procedures. 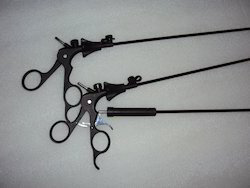 Some of its features include precision designed to facilitate convenient placement inside abdominal/thoracic cavity areas, clear tip support aids clean laparoscopic entry, available in different lengths and diameters with different tip styles, allowing easy handling while making way for insertion of laparoscope/other surgical tools through sleeve. 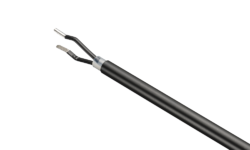 Laparoscopy Grasper options offered comes in precision design construction finish and is backed by ISO, CE and other industry approvals. 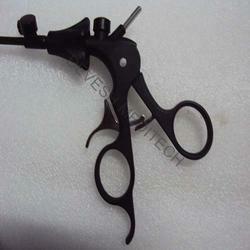 In Order to attain client satisfaction, we manufacture these Needle Holder Ethicon Type using sophisticated machinery. All our products are safe to use, reliable, dimensionally accurate and have longer life. 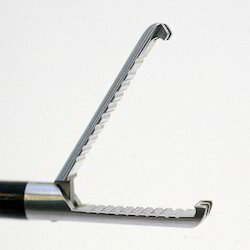 Trocars are placed within each incision and surgical instruments, along with the camera, are passed through them. The appropriate ring handle allows a precision on palm grip. The thumb actuation ridges promote efficiency and easy use. And the enlarged, 360° rotation knob is conveniently reachable by your forefinger. 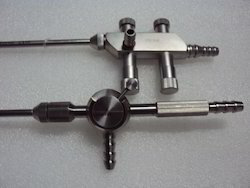 5mm Vessel Sealing Instrument, Tripolar instrument. 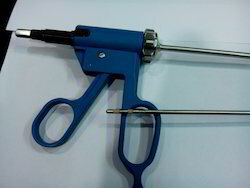 Looking for Laparoscopy Instruments ?